A staycation home is continuing to rise in popularity, with the cost of travelling abroad growing uncontrollably in price, making it more difficult for families to go on holiday. 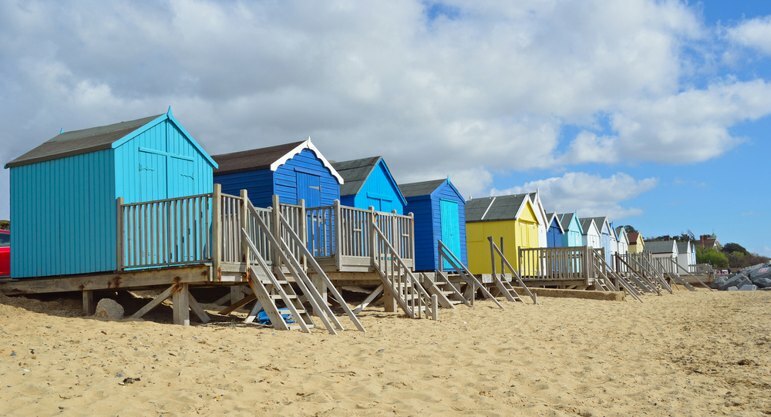 And it’s no secret that Brits adore being by the seaside, whether it be Bournemouth, Southend or Cornwall, and whilst these seaside resorts become flooded with holidaymakers in the summer, it seems that Brits are now even more willing to make their favourite seaside resort and staycation hotspot a second home. New data from Rightmove has shown that Brits will fork out nearly £70,000 more for a staycation home with a sea view. Rightmove, one of the largest property portals, studied all properties for sale, under £1million, across several seaside towns. Rightmove found that the average asking price for properties listed with a sea view is £304,702, compared to £236,070 for a house that does not have a sea view. This equates to a 29% premium. Properties that overlook the sea in Felixstowe in Suffolk will set you back more than double the asking price of homes without a sea view. Felixstowe has recently undergone a large regeneration of the town and the seafront itself, with a £4.8million restoration of the Spa Gardens, completion of Martello Park as part of the £25million South Seafront scheme, as well as development of the seaside area for events. Not to mention, the reopening of the Spa Pavilion, and construction and opening of the £3million pier head building, restoration of the Bartlet and opening of the Fludyers Hotel. And since the area’s plan to redevelop, residents have seen property prices rise by 45% over the past five years, compared to the national average rise of 27%. Interestingly, less than one in 10 homes in an average seaside town has a sea view. Consequently, sellers who are looking to sell their house quickly can maximise asking prices, forcing buyers to compete due to a natural competition for the number of properties available with a sea view. Scott Beckett, an estate agents in Felixstowe has sold flats along the seafront, for a whopping £600,000 and more, with most buyers seeking a holiday home or a place to retire away from the hustle and bustle. And not to mention, even beach-huts in the area go for as much as £35,000. Steve Scott, a partner at Scott Beckett has commented that ‘we’ve had interest from some house-hunters who initially looked at more expensive areas like Southwole but who now realise they can get more for their money here’. The most expensive town for a sea view is Hove in East Sussex, for homes listed under £1million. On average, sellers are putting their properties on the market for an average of £481,826. Following closely behind for the most expensive beach front properties is Broadstairs in Kent and Poole in Dorset. And on the opposite end of the spectrum, Morecambe in Lancashire has seen some of the best property bargains, where a house with a sea view will only cost you on average £144,401.